Emily Jackson is a vlogger from St. Louis and she and her family of ten were all set for a fun Disney Cruise vacation. That’s when it all went wrong. Jackson is pregnant with her third child and it seems she was just a week past the Cruise line’s pregnancy policy cutoff. She and her family had flown from St. Louis to Miami and were ready to board the cruise. It wasn’t so much that they were prevented from boarding – it was the way they were treated – being met by armed security guards. While waiting in the terminal, she and the family’s belongings were sniffed by a canine unit while guards armed with AR-15 rifles stood by to watch over the proceedings. While the rest of her family would have been allowed to board, they naturally decided to forego their Disney Cruise vacation. Instead of being allowed to wait in the terminal while their luggage was offloaded, they were forced to wait outside in the heat. Overall, not a very “magical” experience. Being a vlogger, Jackson kept her camera rolling and recording most of the disappointing moments, as you’ll see below. Yes, they got their cruise fare refunded, but so far no compensation for the misery and trouble they were put through. 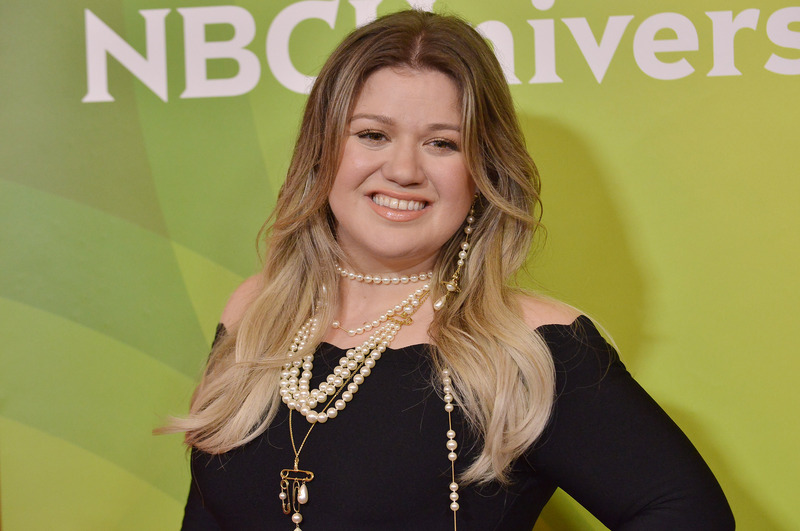 Kelly Clarkson is known for her amazing singing talents, but is also famous for her ability to be real on and off the stage. Kelly is known for causing a tear or two with her songs that touch our hearts, but Hoda Kotb really felt some love when she heard Kelly sing her new song, I’ve Loved You Since Forever on the Today Show. The song was inspired by Hoda’s new children’s book. Shortly after writing the book Hoda said she thought, “Wouldn’t that be cool if someone could sing the book?” That’s when singer, songwriter and mom Kelly Clarkson came into the picture. Hoda even got involved by recording a shaker in the background! Hoda couldn’t hold back the tears as she thanked Kelly for translating her book into song. It was such a touching moment, it caused Kelly to start crying. Just as a warning, you may want to grab some tissue – you’ll probably cry too after watching it. We want kids to be active. We want them to be creative and find other things to do and entertain themselves without relying on a small (or big) screen. That’s where “Bags” comes in. Steve Bags to be exact. He’s been teaching and performing circus skills since the beginning of time and he’s got a great article about simple and fun skills that kids can teach themselves. Skills that will give them self-confidence, develop hand-eye coordination and – they’ll have fun too! You can see a few of Steve’s tricks in the videos below. Safety Warning – Read This First! I take no responsibility for any damage you might do to yourself with a toothbrush, a pair of socks and a handful of lentils. But seriously: be careful of yourself and others. Make sure you have enough space around you to attempt these skills safely without breaking anything valuable like that window over there. All activities undertaken at your own risk! For the full article and more tricks and demonstrations, click here! Up first, a collection of tricks that might take a little extra practice! And here’s Steve’s Plastic Bag Balance. He makes it look easy! Videos and images © Steve Bags, used by permission.